The Rajya Sabha elections in Uttar Pradesh on Saturday saw cross-voting by a BJP MLA while another party legislator claimed that she was prevented from voting. BJP MLA Vijay Bahadur Yadav cross voted in favor of a Samajwadi Party candidate. "I voted on the basis of development done by the Chief Minister and I am ready to make any sacrifice," he said. BJP MLA from Khaga Fatehpur constituency, Krishna Paswan alleged she was prevented from voting while MLA Sangeet Som alleged that there was misbehavior with his party legislators. SP MLA Guddu Pandit alleged that he and his brother received threats. "I and my brother are being given life threats," Pandit alleged. His brother Mukesh Sharma said that he has lodged a complaint with the Election Commission of India. "Every thing is recorded," he said. 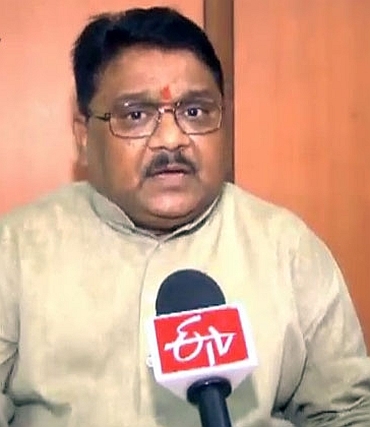 UP minister and MLA Abhishek Mishra said that party would win all seven seats on which it had fielded its candidates. Peace Party chief Mohammed Ayub, who has four MLAs, said that his party would vote in favor of Congress. "Constitutional action will be taken against those violating the whip," he said. Former UPPCC chief and MLA from Lucknow Cantt Rita Bahuguna Joshi said former union minister Kapil Sibal would get more than required votes. Senior party leader Ghulam Nabi Azad said that party was confident of victory. "We already have 29 MLAs and we are getting support of other parties. BJP, which has only 41 votes, is short of support for the independent candidate backed by it," he said. In a loss of face, eight Janata Dal-United MLAs, defying the party whip, voted against its official candidate and supported the Congress in the biennial elections to fill four Rajya Sabha seats from Karnataka. "Eight MLA's have voted against JD-S in the Rajya Sabha election in favour of Congress. On Sunday, in the party's meeting, we are going to take action against them according to provisions of the party constitution," JD-S spokesman Ramesh Babu said. The rebel MLAs who cross-voted are Zameer Ahmed Khan, Chaluvaraya Swamy, Iqbal Ansari, Balakrishna, Ramesh Bandisiddegowda, Gopalaiah, Bheema Nayak and Akhanda Srinivas Murthy, Babu said, admitting the loss much before polls ended. Dissidence-hit JD-S had fielded businessman B M Farooq as its candidate. Calling rebels "cancer" for the party, JD-S leader and former Chief Minister H D Kumaraswamy said "we should have found medicine for it. It is already late. We will have to find a solution to it before it goes to final stage." Speaking to reporters after casting their votes, the rebel MLAs held that the "attitude" of party leaders -- H D Deve Gowda and Kumaraswamy, was the reason for their decision. Chaluvaraya Swamy said "8 of us have voted against the whip. We have shown it to our party agent. Our candidate was fielded without taking us into confidence, with a plan of taking Independent's support," he added. Citing a similar reason for the decision, another rebel MLA Zameer Ahmed Khan said "if they had to field a minority candidate, there were leaders in our own party. Why did they have to bring someone from outside? We had leaders like Danish Ali within party serving it for years." Rajya Sabha polls have an open ballot system where voter has to show the ballot paper to the official agent of the party and cast the vote. Eight members voting against the party has come as a shock to JD-S as only five rebel MLAs under the leadership of Zameer Ahmed Khan were expected to indulge in crossvoting. The Congress' decision to field the third candidate, former Indian Police Service officer K C Ramamurthy, had been giving tense moments to the JD-S which needed five additional votes to see its candidate through as it has 40 members. Fourty-five votes are needed for victory. The Congress with 122 members is assured of two seats for former union ministers Jairam Ramesh and Oscar Fernandes but with a surplus of 33 votes, it fielded the third candidate. Rebel JD-S MLAs had also indulged in cross-voting during the biennial elections to fill seven seats of the Karnataka Legislative Council from Legislative assembly held on Friday. Union Minister Nirmala Seetharaman is also in the fray.